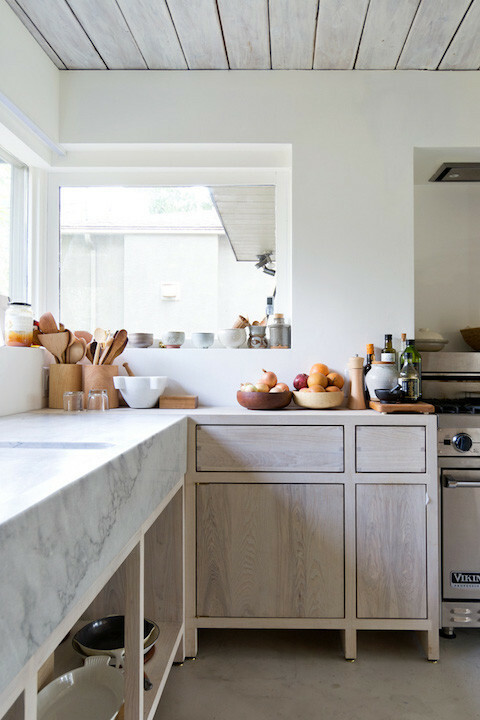 This beautifully crafted kitchen is designed by Canadian architects Scott & Scott. The owner and architects both desired to use materials in a simple, natural and stunning state. The detailing is raw, but precise. 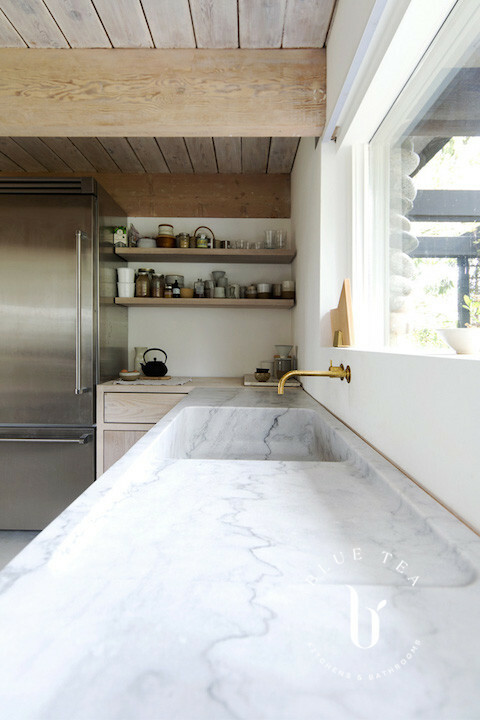 A beautiful marble bench top meets lime washed timber cabinetry. The detail is in the joining of materials and the meeting of corners. The materials appear to be in their most raw but beautiful states.